On May 2nd, 1836, 59 Texian settlers signed a declaration of independence from Mexico, creating the Republic of Texas. May 2nd has since been celebrated as the Lone Star State day of independence honoring a spirit of individualism and pride that remains to the day. Few states embody that spirit of independence as singularly (and brazenly) as Texas. Texas is the only state in the US that has had 6 flags hoisted over some or all of it’s territory and that’s part of what has led to it’s unique mash-up of culture. 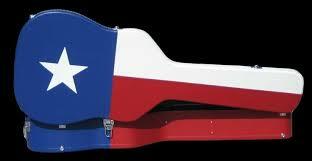 Now we hoist the flag of great Texas music. Would you expect less from the state that gave us Buddy Holly, Bob Wills and Willie Nelson? Below is my pick of 10 new performers that currently embody that spirit of independence and the echo the legacy of greats that hail from the Great State. Folk Family Revival – With the pride of magnolia TX, Folk Family Revival – Lankford brothers Mason, Barrett and Lincoln – along with Caleb Pace on lead guitar, you get glimpses of folk, rock, country and Southern soul. One thing’s for sure, it’s damn good. Uncle Lucius – Austin-based Americana rock band Uncle Lucius draws from the same well as Faces and Lynyrd Skynyrd but end up at a righteous place all their own. Bonnie Whitmore – Whitmore has been around music her since she was a tyke, She played in her family band before heading out on her own. And what a path tHis AustIn-based artist has blazed. Jason Eady – Ft. Worth’s Eady is often included in the Red Dirt camp though to my ears he just created great, timeless country music. Collin Herring – Ft. Worth is also home for Collin Herring who exhibits influences from Townes Van Zandt as well as Sufjan Stevens. Wood & Wire – This Austin Texas Based Bluegrass Band embodies the greatness of craft , the beauty of harmony with the right amount of grit. Jamestown Revival – Sure Magnolia TX’s ran off to California, but Jonathan Clay and Zach Chance Everly-like harmony and rear for melody makes plain where they hail from. Dirty River Boys – Originating from El Paso when members Travis Stearns and Nino Cooper met while working the circuit the Dirty River Boys have a great sound that will make you dance and turn around and cry in your working-class beer. Quaker City Night Hawks – Southern boogie and soul soak the sound that pours effortlessly from Ft, Worth’s Quaker City Night Hawks, Have mercy!